A very busy week for the Green Army and an excellent selection of reports in the inbox. Thank you very much to everyone who has contributed. As usual all reports to be sent to helsby-race-reports@outlook.com. Strap into your seat belts, it’s a long one! Here’s a list of the awards made at our presentation evening on Friday celebrating a year of excellent running at Helsby Running Club. We can run well and party well!! Here’s a list of trophy winners for the 2015/16 club counter season. Well done to all who ran throughout the year and here’s to lots of club counters by all this season! A reminder about this coming Wed #Helsby vs #Felsby competition at Dinas Bran 4.3m 1150ft, 7:15 start LL20 8TG, for those wanting to car share please meet at the club ready to leave at 6pm. 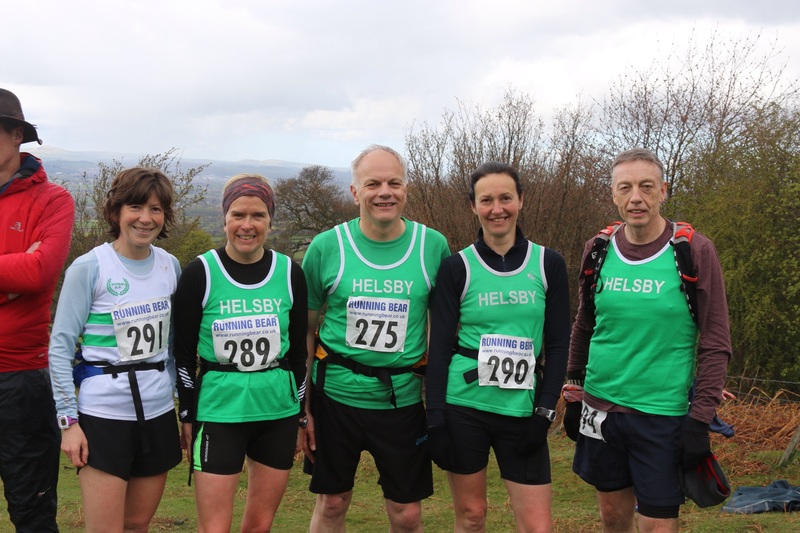 in the upstairs tea room – please come along and discuss what you want of Helsby Running Club over the next 12 months. The plan is to keep it shorter this year by having written reports circulated in advance, with questions & answers on what and how we do things followed by the all important election of officers. If anyone would like to become part of the committee then please let me know in advance of the meeting jackiekeasley@btinternet.com. Jane Ashbrook is stepping down as Ladies Club captain; we thank Jane for all her input and ideas these last couple of years. So this was our last borders league race of the season and was probably the most important for the men, having fighting off relegation over the last 2 meetings we had to make sure we had 10 runners turn up and make sure we didn’t get any penalty points, and after an end of season fixture change for a midweek race from Shotton to Prestatyn I was a little worried we might struggle….oh how wrong was I! Another superb turn out by the men’s and ladies team seen us fight hail, wind and rain for an out and back course along the sea front, which was great going out but not so great coming back with a full on head wind. Some awards that we received included 1st V35 for Jo Lacking, 9th & 10th Overall men, myself and Col T, and 2nd V50 lady for Carol S.
Hopefully you’ve enjoyed it as much as me, now for a few months off before pre season training starts in July and I start moaning at everyone for breaking rule 4.3 thou shall not drink 48 hours before a borders league race. I decided to give the Saddleworth Cake Race at Diggle a go. This fell race is famous for the cakes after the race & it didn’t disappoint, there were 3 huge tables full of them! It was £5 to enter or free if you supplied a cake bargain! At just short of 10miles 1700ft over Saddlewoth moor it’s a cracking race. I wasn’t expecting to see anyone I knew, then Jamie Dowdall in his Darwen vest shows up. After a quick chat with Jamie we were off into the hills. The Liverpool Spring 10k is 2 laps of Sefton Park, billed as flat but not exactly – some energy sapping long gradients and tight turns certainly made it a bit of a challenge, as did the horrible weather. That didn’t hinder our Green Army contingent from setting PBs galore though, a huge well done to everyone for running so well and some of our newer members who have improved so much recently. Big thank you to Colin and Jane Bishop for their support on the day, Jane even had a selection of fresh baked cakes for us at the finish to replenish those depleted carbs! Result! Please find a link to the consolidated parkrun results from Saturday. Well done to everyone who ran, especially Col Bishop for another fantastic win at Widnes! Well done mate. 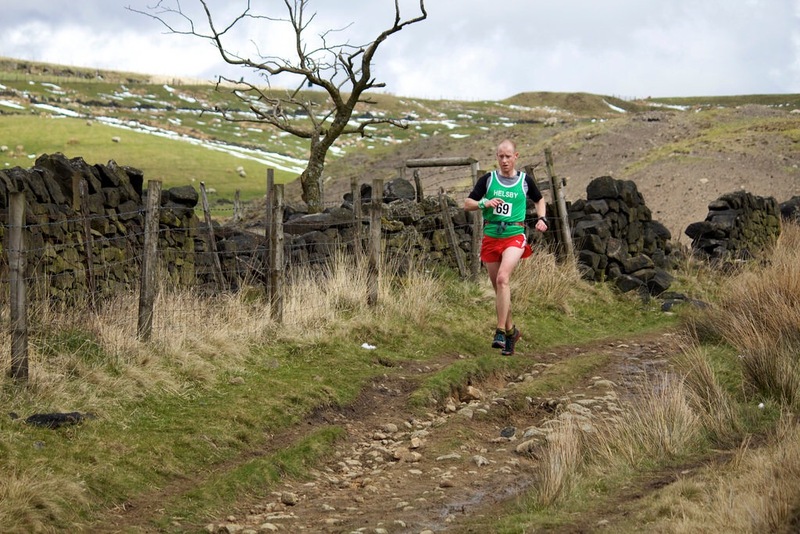 And finally, it’s big congratulations to June Swift and Jim O’Hara who have been selected to run for Cheshire at the Inter-Counties Fell Running Championships on 14th May. Well deserved after a brilliant season, be sure to congratulate them on their fantastic achievement. Phew! That’s it this week. Many thanks for all the excellent reports, if I have missed anything please get in touch and I can always update the blog later on. This entry was posted in Fell Running, Road Running, Weekly News. Bookmark the permalink.